Smartpaddle Technology Pvt. 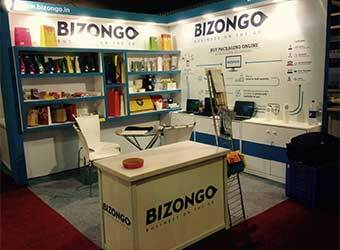 Ltd, which owns and operates business-to-business (B2B) marketplace for packaging materials Bizongo, has raised $3 million (around Rs 20 crore) in Series A round of funding from IDG Ventures and existing investor Accel Partners. The Mumbai-based startup will use the money to expand its seller base, build automation, improve supply chain and strengthen technology and operations teams, it said in a statement. "A B2B purchase is distinctly different from a consumer purchase. The best part of our business is that we get over 50% of our monthly revenues from repeat customers," said Aniket Deb, co-founder of Bizongo. He said the company is also looking to partner with large corporate, especially in retail and manufacturing to handle their procurement process end-to-end. Founded in April 2014 by Deb along with Ankit Tomar and Sachin Agrawal, alumni of IIT Delhi and IIT Bombay, the startup currently deals in products such as boxes, containers, pouches, bags etc targeting industries such as food & hospitality, FMCG, retail & wholesale, and ecommerce. Accel had invested an undisclosed amount as seed funding into the company in October last year. Bizongo competes with the likes of Industrybuying, Tolexo, BazarA2Z, Alliedhunt, Moglix and other tech startups. B2B e-commerce company specialising in procurement of industrial products, Moglix raised Rs 28 crore ($4.2 million) in Series A round of funding led by Accel Partners, along with Jungle Ventures and SeedPlus last month. Earlier this year, Kalaari Capital and SAIF Partners-backed Industrybuying.com raised 18 million (Rs 12 crore) in debt financing from venture-debt provider Trifecta Capital. In addition, in August this year, Mumbai-based B2B marketplace for industrial equipment Omnikart closed its operations due to disagreement between its two co-founders on a growth strategy.